We are safeguarding critical infrastructure and building the digital future. The Geomatikk Group comprises five companies, whose activities combine geographic positioning with sophisticated digital technology and efficient processes. 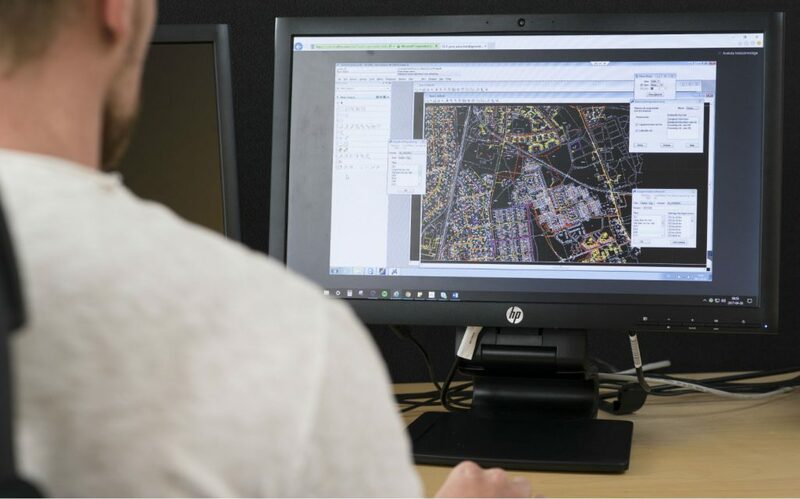 We develop systems that in combination with our services provide the Geomatikk Group’s customers with not just a complete overview of their infrastructure above and below ground, but also complete protection and control. Our customers include utilities, contractors as well as public and private companies. 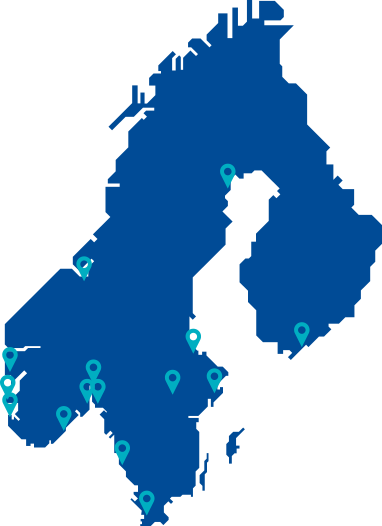 By utilizing and expanding the geographic information available in our community, we are contributing to the digitalization of the Nordic region. We protect critical infrastructure with a nationwide service for cable location, excavation permits handling for municipalities, and coordination of planned excavation work. Geomatikk is Norway’s leading provider of utility networks documentation services. We work to create uninterrupted distribution networks for Sweden’s largest utilities. The core business is protecting cables during excavation works, but we also document distribution networks and coordinate excavation permits for municipalities. We protect utility networks in Finland. On behalf of utilities, Geomatikk prevents damage to underground infrastructure by delivering cable location services in connection with excavation activities..
We offer cutting-edge land surveying. 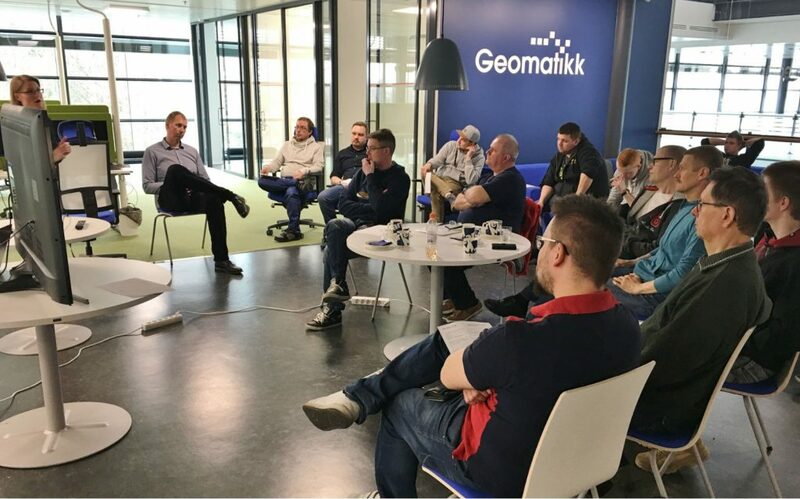 Geomatikk Survey employs the very latest technology, such as drones, laser scanning and 3D modelling, to streamline development and construction projects in the Nordic region. We are one of Norway’s leading providers of digital document management, scanning, field data collection and property valuation. Geomatikk IKT also develops powerful IT solutions for the other companies in the Geomatikk group as well as external customers. The Geomatikk Group comprises five companies with different areas of focus, but which all aim to safeguard society’s critical infrastructure and contribute to building a sustainable digital future. Let us present the management team of the Nordic Geomatikk Group. A number of values are evident in all aspects of the Geomatikk Group’s activities. These guide us in our efforts to create a pleasant work environment and ensure a high level of quality in our deliveries to customers. We always look forward, employ cutting-edge technology, are sensitive to the market’s needs, and continuously develop new products and services. Our work environment is characterised by openness, honesty, participation and loyalty. There is mutual respect and we cooperate with and help one another. We keep our promises to customers and employees. We have a well-documented work process that is based on correct information and straightforward deliveries. Our focus is firmly on our customers and improving our business based on the feedback we receive from them. We are professional and accommodating, both internally and externally.